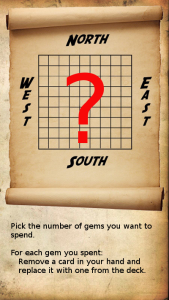 Treasure Hunt is a board game for 2-4 players developed as coursework for university. The topic for the coursework was “A board game to help children learn programming”. The game was developed in a team of 4 people. 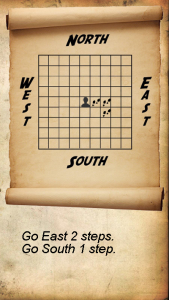 The goal of the game is to steal treasure tokens from other players and bring them to your starting location. Players move by playing a combination of 3 cards, which define movement patterns and special effects. Players need to plan their movement patterns ahead and alter the combination of cards in play through the course of the game. The mechanics are meant to teach the player command sequencing, and also conditional statements/loops in the form of special effect cards. 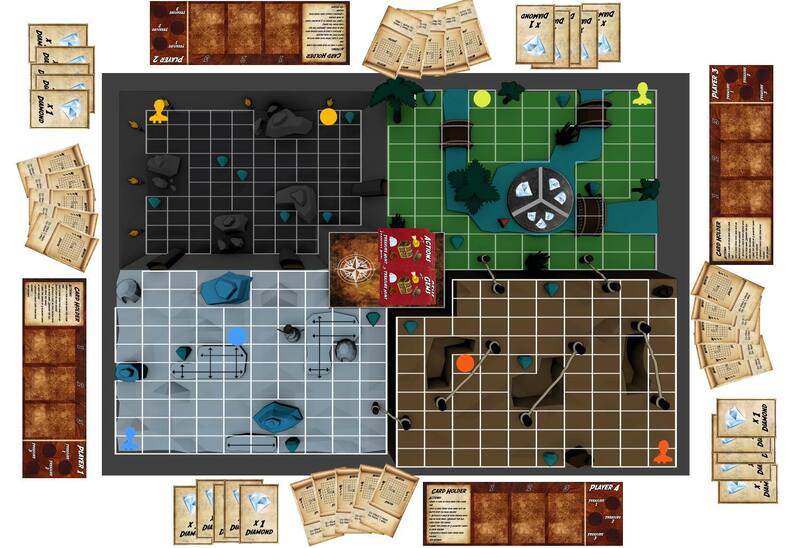 I developed the game board in Blender, developed a procedural card generation system, worked on the board design in terms of obstacle placement and balancing, as well as developing the core ruleset along with the other team members.